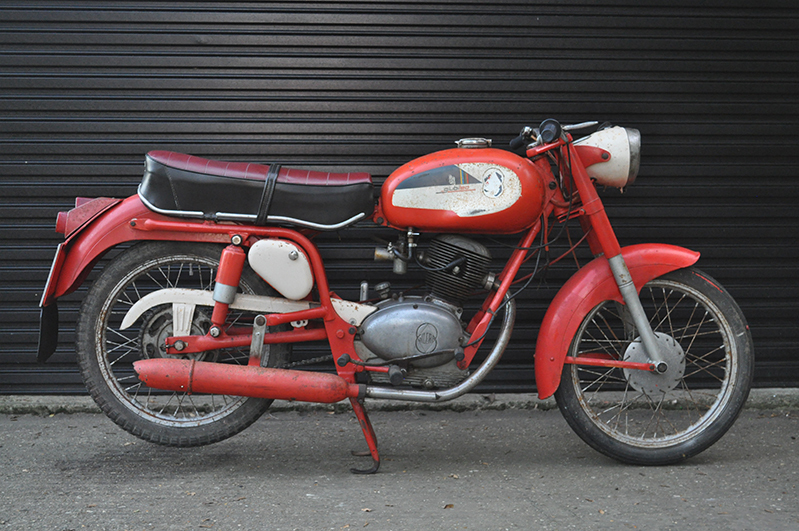 This is our 1962 Gilera Giubileo 98CC... Found in perfect original condition, the perfect canvas for a restoration. Gilera was founded in 1909 by Giuseppe Gilera and was bought out by Piaggio in 1969. Gilera made a return in 1992 and still produces small capacity motorcycles today - as do Piaggio. 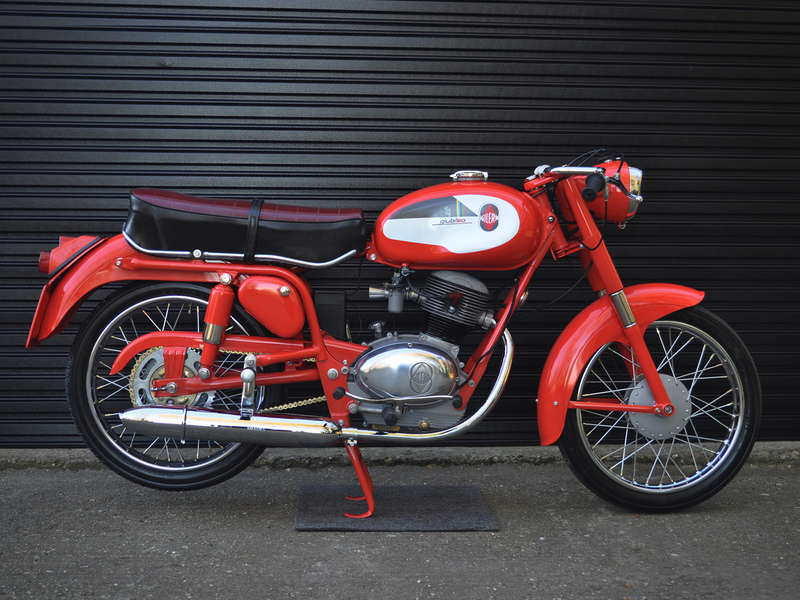 The term "Giubileo" translates to Jubilee/Anniversary, the model was released to celebrate their Golden Jubilee/50 years of manufacture under the Gilera name. In 1946, Giuseppe Gilera commissioned an engineer called Piero Remor to study and produce an economic equivalent of their bigger displacement GP Race-bikes. Throughout the 1950's, racing was a big part of Gilera's publicity campaign, this was vital for the growth of the company - however, this didn't make great sales - Gilera had to make bikes "for the people", creating lightweight motorcycles such as the "Giubileo 98", it was the sale of bikes like this, that paid the bills. After the Second World War, the demand was high for two-wheeled vehicles, it helped solve the mobility problems that the population had at the time. Gilera's 98, 150 and 175 models were all released into an extremely crowded market, manufacturers such as Bianchi, Moto Guzzi, Ducati, Moto Morini, Piaggio, Benelli, MV Augusta and ISO Moto... All releasing their own variations in the lightweight scene. After tackling the vasts amounts of chrome-work, We went on to prepping the steelwork for primer and paint... Firstly, removing rust from the each and every panel, treating where necessary to achieve maximum protection and longevity for the future. With an original colour name at hand "Rosso Arancio - GIL 16", we were able to get the perfect match from the original paint we once had. Original decals were imported from Italy, now lay lacquered in the correct locations around the bike, from the headstock to the tank and side panels. Both front and rear suspension components are restored in a similar way to the rest of the bike. The front forks received new phosphor bronze bushes, reamed to correct size and soaked in oil. 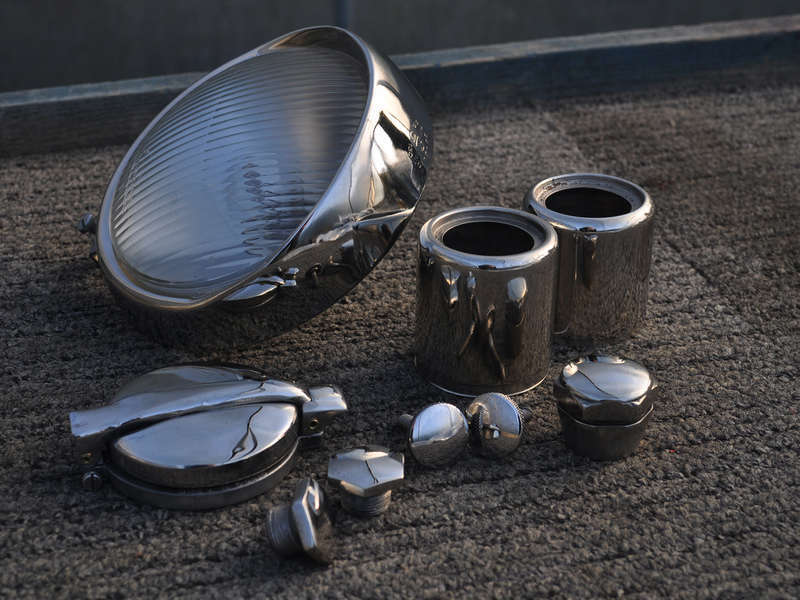 With an obvious introduction of water with one fork leg, one of the shafts had worn slightly faster than the other with slight pitting found within its operation range, so we resurrected the shaft by flash plating in copper and zinc to fill in light pitting and to create a new hard wearing surface. Filling in these slight imperfections has ensured that no oil passes the seal and rubber O-rings (Both replaced with new) - This has prolonged life and will avoid premature failure in the near future. 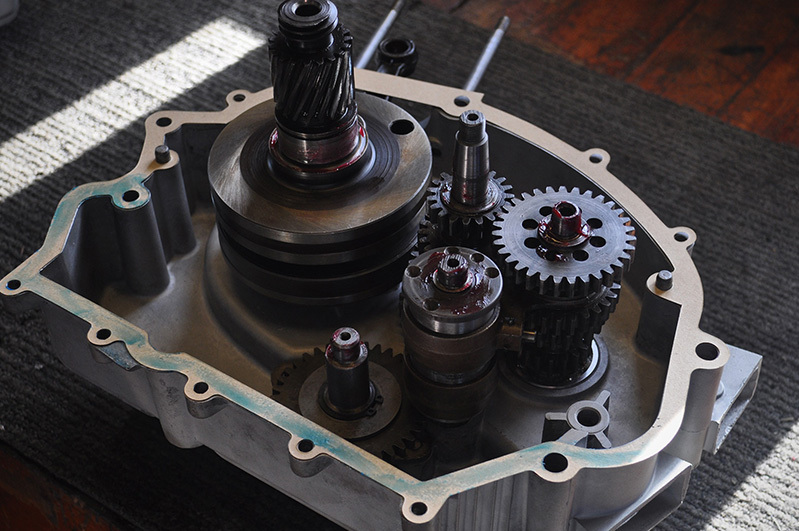 It’s always nice to go into an engine rebuild with the knowledge of it having run beforehand. 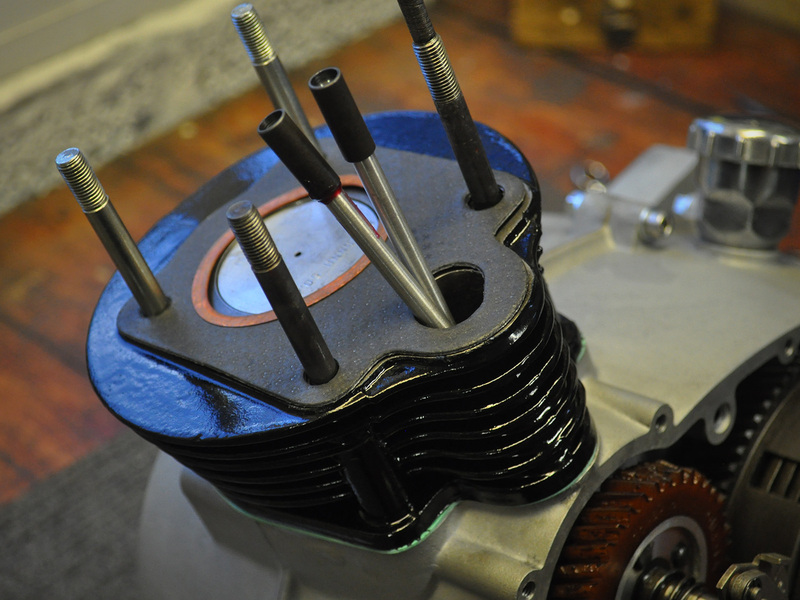 Before the bike was stripped for its restoration, we took the time to get the engine running. This way, we can make note of any untoward noises and address them in more detail later – of which there were none. 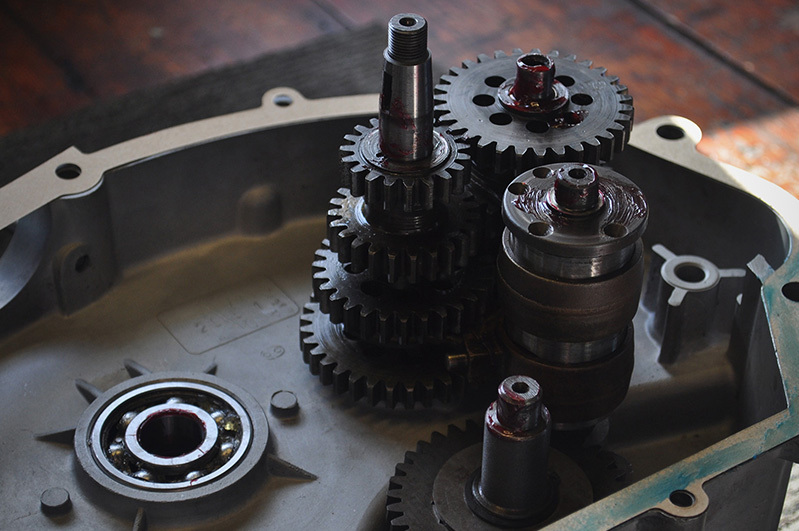 We could also test that we had all the gears in the gearbox. 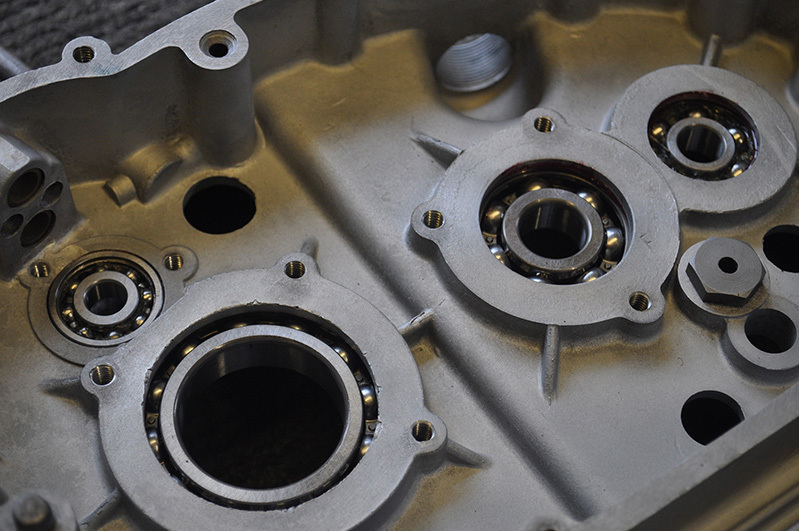 Crankcases were cleaned and peened with fine glass, washed out and all threads re-tapped. 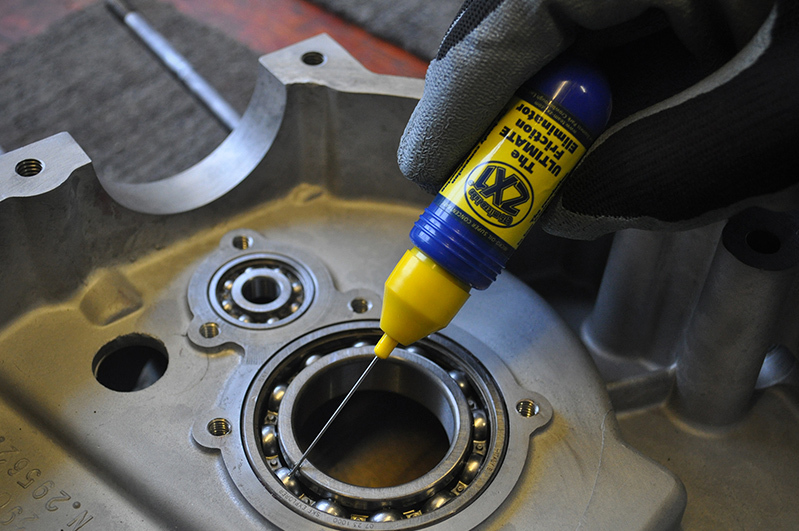 Every bearing, seal and gasket replaced with new and rebuilt with ZX1 lubricants throughout, protected from the first revolution. Gilera celebrated their 50th anniversary by releasing a range of small displacement motorcycles. 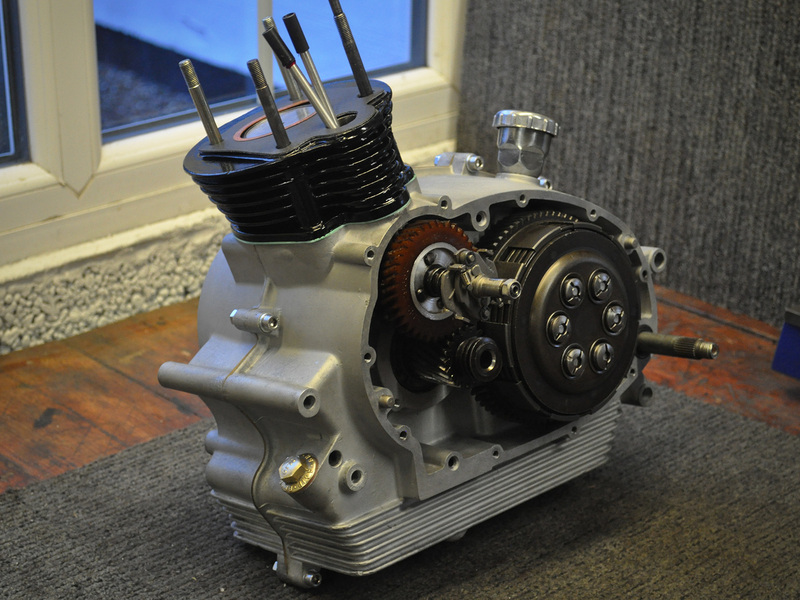 The 98cc, although looking like a 2 stroke from the outside, is very much a 4 stroke on the inside. In fact, a master of innovation and design. 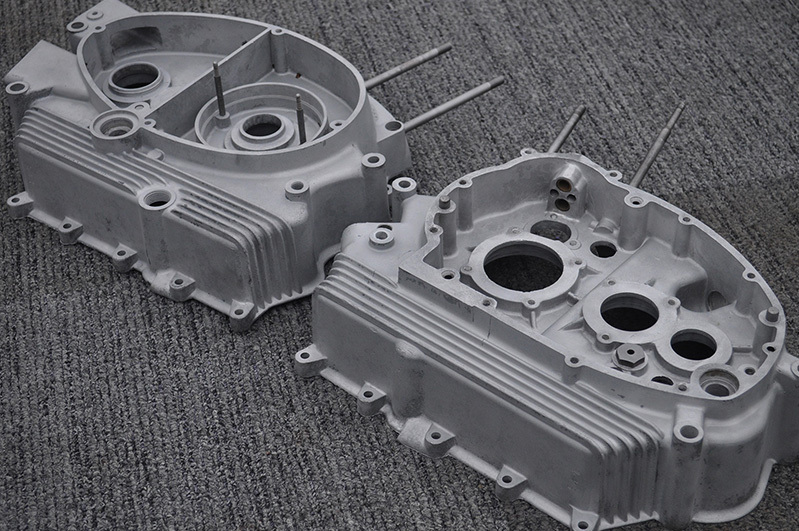 Cooling fins on a "sump-styled" casing improved cooling, as well as having a crank-propelled oil pump. Pushing nearly 6BHP @ 7,000RPM, quite impressive for a 98cc 4T, most likely down to precision push-rods and intricate valve gear. This engine sure was a joy to rebuild. 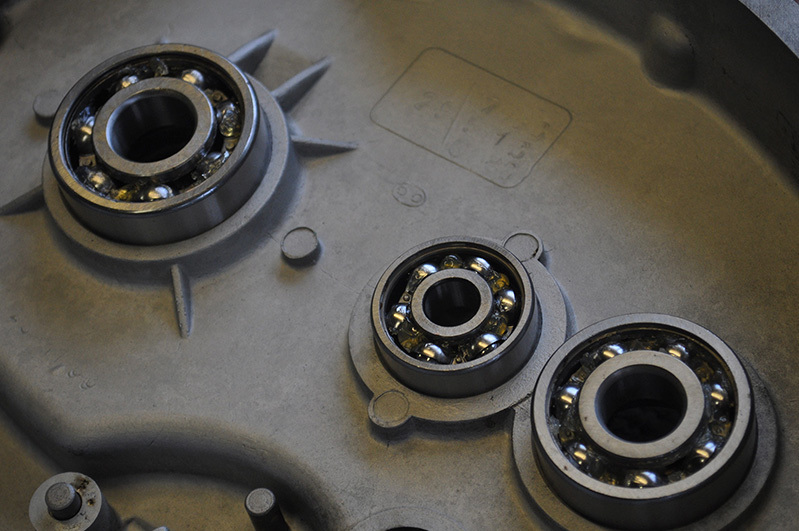 Built with OE Spec, Italian Sourced, Athena Gaskets throughout. 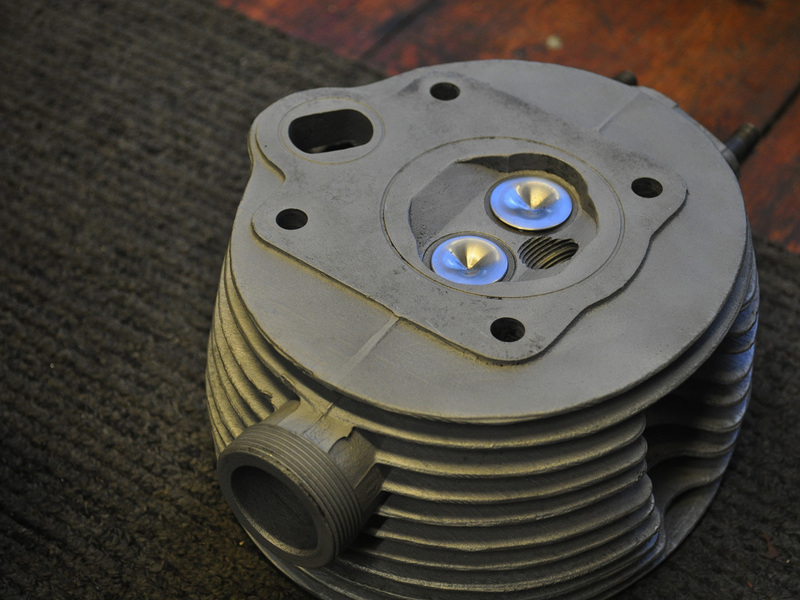 Currently running a 50.4 Piston (Oversize by 0.4) with a 50.8 available from Italy for further boring, if required.